Before checking out our in-depth buyer’s guide, take a quick peak at some of our top picks. We at Top10 really like these motors for their quality and performance. 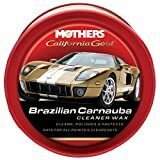 Read on to see how these products stand above their competition! Note that the three listed motors below all have 8 speeds (5 forward and 3 reverse), 2-year warranties, and batteries are not included. Both the forward speeds and reverse speeds on these motors are industry standard. With a 9.0 rating, the Newport Vessels Kayak series is this list’s best electric trolling motor for saltwater use. Its shaft is 24 inches in length, a bit shorter than average. What’s particularly nice about this item is that its battery cables are a bit longer. This means that boaters will have greater freedom when deciding where to place their battery. 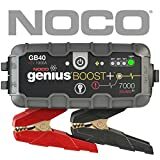 This motor comes in at $209.00 on Amazon, a moderate price. Looking for a high-quality freshwater trolling motor? The Minn Kota trolling transom motor might be for you! It tops our entire top 10 best motors list, earning an impressive 9.7 rating. This 12v motor has a thrust level of 30, and sports a 30-inch composite shaft. The company is so sure of this shaft's quality that they offer a lifetime warranty on it! (The 2-year warranty remains for the actual motor itself). Perhaps the best thing about this product is that its current price on Amazon is only $94.99! Those looking for a more versatile motor can find that in Newport Vessels trolling electric motor. It earns a 9.0 rating from us at Top10. Outdoor enthusiasts can use it for either fresh or saltwater adventures, as its 30-inch shaft is made with stainless steel to withstand the tough conditions of salty waters. This bad boy delivers 55 pounds of thrust, making it great for not just a fishing boat, but any boat type, including inflatable boats or kayaks. It also features a motor battery meter, although—like the other items on this list—a marine battery is not included. It’s currently going for $199.00 on Amazon. Overall, we think these products will satisfy most boaters and anglers. Always check, though, that the motor you plan to buy will actually fit with the vessel you have. 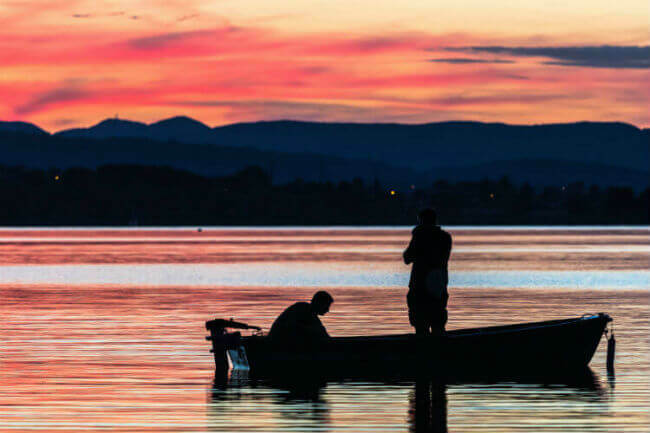 Now that you’ve seen our best overall, freshwater, and saltwater trolling motor reviews, check out our in-depth buying guide so you can feel confident in your knowledge of these wonderful machiens! A trolling motor is useful for small- and medium-sized fishing boats, inflatable boats, or even kayaks. Commonly used by anglers, this type of boat motor brings power, speed, and control to outdoor enthusiasts' hands. They are ideal for boats on rivers and shallow seas because they boast simple controls and almost instant acceleration and deceleration. This makes them great for either boat trolling (to avoid spooking fish) or for getting back to shore if the main motor breaks. 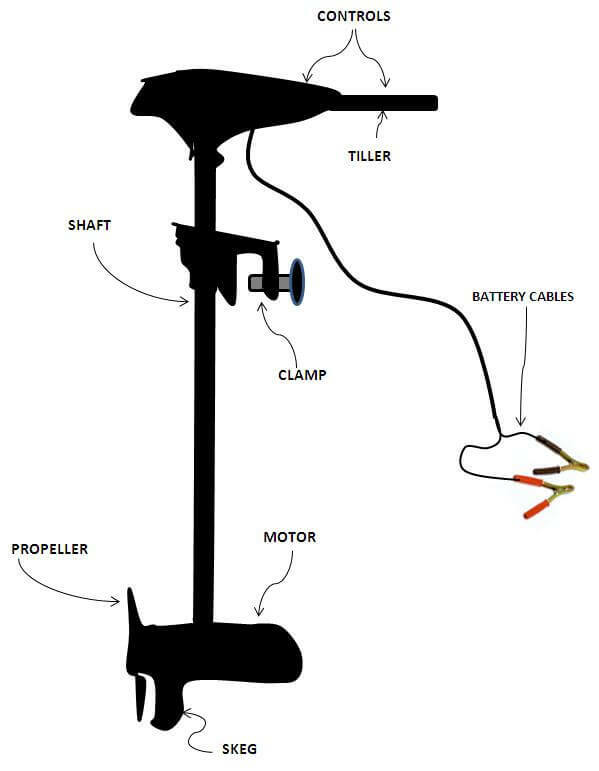 Whether looking for a replacement or conducting research for your first one, this handy guide can help you discover what to look for when buying trolling motors. It’s important to ask yourself whether you need a motor for seas and oceans or lakes and rivers. Saltwater motors will almost always be more expensive. This is because they are more expensive to manufacture since they need to be able to withstand the harsh conditions of salt water. These motors need to be anti-corrosive, and all the electronics need to be thoroughly isolated and encapsulated. 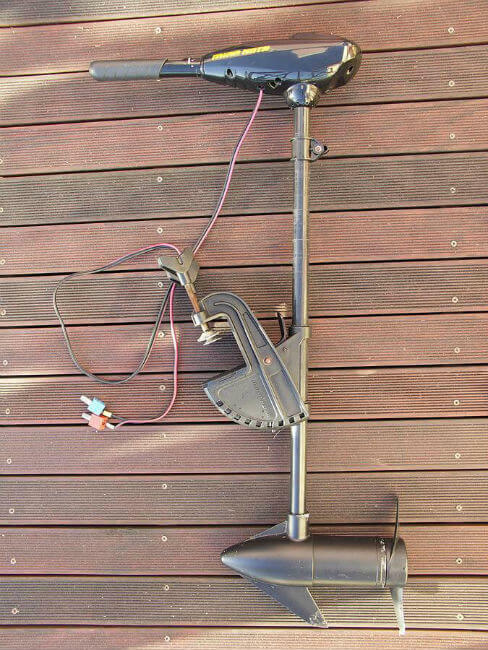 Saltwater motors are armed with negative anodes that repel salt and extend the motor's longevity. These trolling motors typically cost less due to lower manufacturing costs, but otherwise generally don't differ from their saltwater counterparts regarding thrust, trolling power, and control. They are ideal for rivers, ponds, and lakes. A high-quality one can really help make the perfect, relaxing fishing trip at the local river. 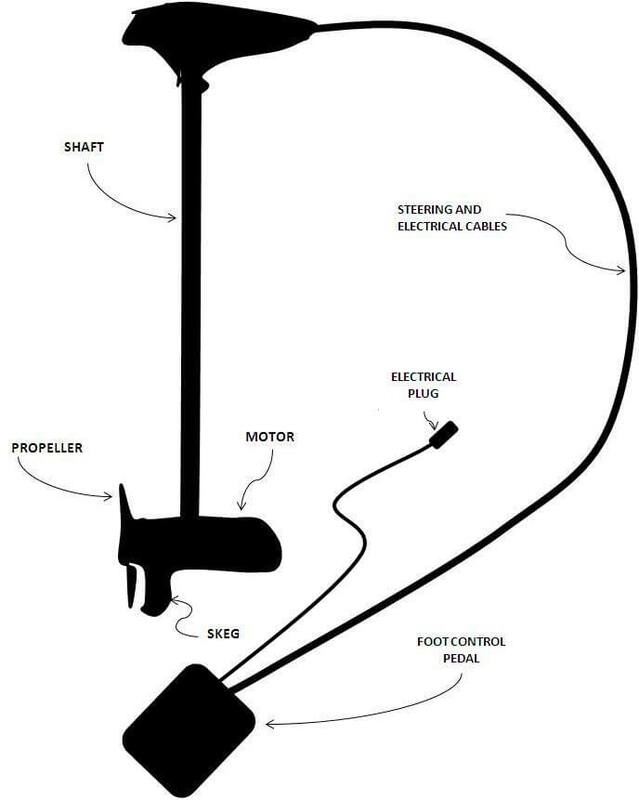 There are three placement options in the boat for the trolling motor: bow, transom, and engine mount. A bow is the front part of a boat. Why would you want to mount your motor at the front? What are the benefits of that? For one, boats don't float in direct lines, due to winds, currents, and other factors. This is particularly true if you're navigating on seas or rivers; a current can shake a boat and make it zig-zag in the water. Bow mount trolling allows for easier navigation in these instances. Another great benefit of trolling from a bow mount is that the engine typically uses less power to drive the boat. The laws of friction are clear on this: it is easier to pull a boat than to push it (and we aren't about to argue with science). Seemingly the opposite of bow mounting, a transom mount goes on the back of a boat. 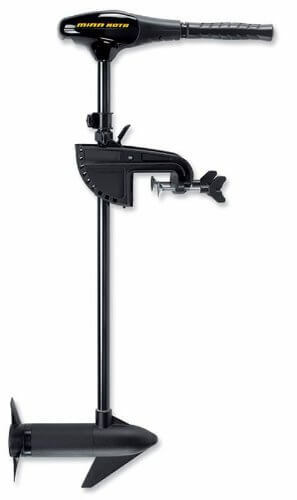 These types of mounts usually come with built-in clamp brackets to secure it to the boat. Transom mount trolling typically works better on smaller boats. These motors are often smaller, which can make them easier to maintain and mount. Some people prefer installing their trolling motors on the back because it creates less clutter on the deck. However, this is mostly a matter of preference. 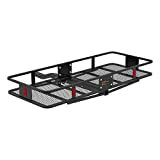 If you have a small boat and are looking to explore rivers and ponds, a transom mount for freshwater might be something worth looking into. An engine mount is built into a boat's outboard cavitation plate. Prospective buyers must make sure that there is enough free space to mount the trolling motor in the first place. One of the most obvious advantages of this type of mount is that it clears up deck space. There's no doubt that a decluttered deck is useful for everyone, but it is particularly beneficial for anglers because it allows them to focus their complete attention on catching fish. Most engine mounts arrive with remote controllers, which allow you to control things like forward/reverse throttle in a convenient fashion. 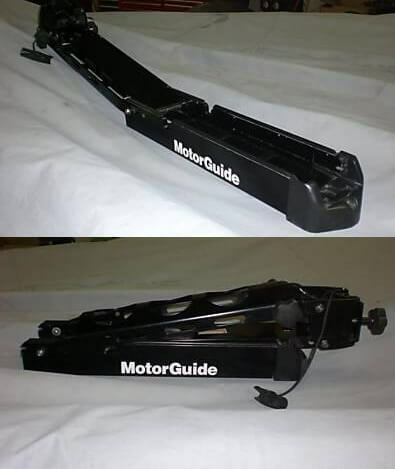 Besides how it is mounted, the motor's size will also affect your power, speed, and overall navigating experience. Essentially, the thrust of a trolling motor describes its power. How much thrust you'll need largely depends on the weight of your boat and your driving preferences. The heavier the boat and the more aggressive you drive, the more thrust you'll likely need to use. Many people agree that you need roughly 2 lbs thrust per 100 lbs. For example, if your boat weighs 500 pounds, you would need a 10 lbs thrust motor. When making your calculations, be sure to include your own weight, the weight of your passengers, and cargo. Note that the heavier the vessel, the lower the speed it can travel without placing increased pressure on the device. Another factor to consider is where you are sailing. Some environments (like open seas) are subject to winds and strong currents, which might require a little bit of extra thrust. You can buy an electric trolling motor in three different volt capacities: 12V, 24V, and 36V. Many people go for the smallest (12V) motors because they genuinely don't need more than that. After all, why spend more money if you don't really need to do so? A general rule is that if the boat is less than 12 feet long, a 12 volt should suit your needs. Batteries should be stored in a battery motor power center. This is because the power center will protect batteries from weather and other types of damage, reducing the amount of wear and tear to the battery. In short, they can extend life. They also usually come with convenient handles, making batteries easier to carry, and some even have hook-ups for charging smaller electronics, like cell phones. that your motor doesn't cause unnecessary disturbances in the water. This is especially important to keep in mind for anglers. that your motor stays under the surface and in your control. The good news is that the marine industry offers various sizes of shafts. They also include data regarding these sizes and their relation to thrust and power to help prospective buyers make informed decisions. When you are choosing the length, the standard recommendations are that you go with either 30, 36 or 42 inches; these can vary based on several factors, and some motors will require more than these standard options. Many marine manufacturers today opt to include smart technology in their motors. Consequently, most modern motors feature advanced control mechanisms and systems. Those with more power will have several speeds. You'll really notice the difference here from other motors, especially if navigating across still water. 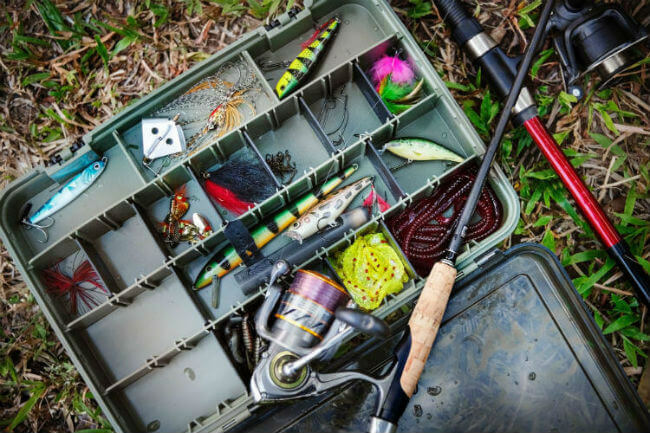 While any added accessories or equipment can be costly, the value they add to your fishing experience could well be worth the money. Fortunately, many vendors offer free shipping for these types of motors, so that can help you save a bit. There are two basic options for controlling your motor: hand control and foot control. The benefit here is in the amount of control you get from it; after all, we have more control over our hands than our feet. Most motors will come with a tiller, and some of these tillers will have a control board built into it. You can then control speed and other navigating factors with the help of such features in a relatively easy manner. Some are so easy to use that only one hand is necessary. Some people prefer foot-controlled devices. Whether you want the motor on or off, or need more or less power, can be controlled with a foot pedal. 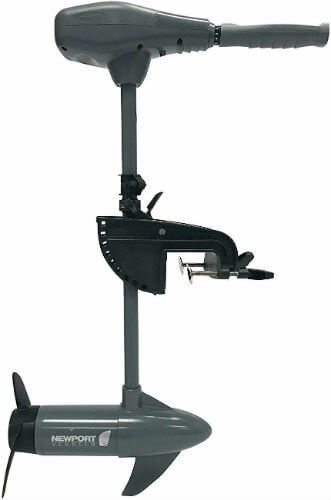 Some pedals also have a built-in steering mechanism with which you can steer your boat. Most modern foot-steering motors are electric. 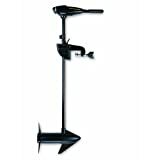 Foot operations are excellent for fisherman, primarily because they allow them to steer the boat with their feet; this leaves their hands free for catching fish. 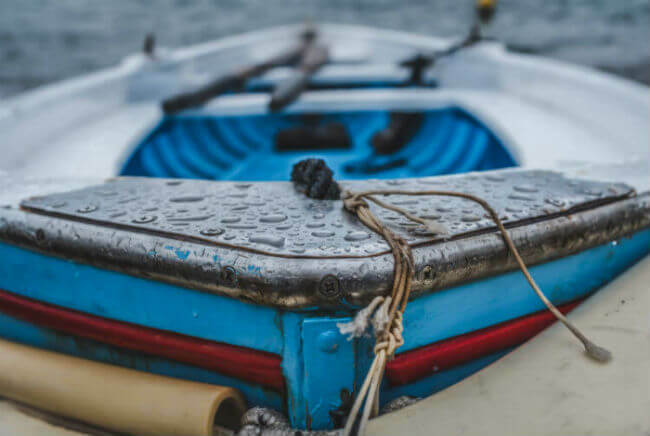 Handling a boat can be tiresome, especially if you are fighting strong currents or winds. It is therefore critical to look for trolling motors that come with properly sized shafts and ergonomic handles. If you are new to this, a good place to start might be a motor with a telescopic tiller and padded handles. The handle should at least be covered with some form of padding that makes the surface less slippery and easier to grip. It might also be a good idea to go for a long handle to gain more control over a boat. While a longer handle can have its benefits, keep in mind that they may cause other inconveniences, like clutter on the deck. Besides calculating optimal shaft length or voltage, there are other factors to consider. The environment you will be navigating is one such consideration. Some questions to ask yourself include: Is it often windy? Are you navigating in rough waters? Is your environment challenging or mild? Answering these questions honestly can help you better determine what the best trolling motor for you is. For example, if you'll be exploring a harsh environment, having some extra thrust may help get you out of trouble in dire situations. What you want to use your motor for is another question to ask yourself. If it’s to help you as an angler, then this type of motor might be worth your time. Electric trolling is typically quieter than when using a gas-powered motor, so they’ll be less likely to scare away fish. Although, they generally have a shorter battery life. Another feature to consider is a quick release bracket or plate. 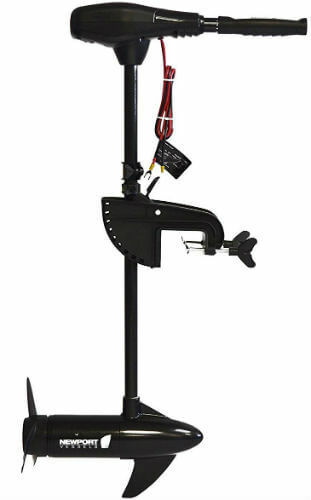 They can mount your trolling motor onto your boat and stow it away quickly and easily. They also allow you to easily deploy your motor. Price range is another important, unavoidable consideration. Some trolling motors can come under $100 dollars, but most will usually be around $100-$400, either on Amazon or individual company sites. Some items may even go for more! With such a big financial investment, it is important to check product reviews to make sure that what you’re getting really is worth the price you’re paying. There are many factors to consider when looking for your boat's next trolling motor. Aside from obvious considerations like sheer power, water type, and pounds of thrust, it’s also important to keep other factors in mind, such as mounting and driving preferences. After all, the best trolling motors are the ones that suit your needs and will be used often; it’s definitely worth it to take the time to brush up on the basics. If you are a complete beginner in all of this, this guide can hopefully help you determine the best type, mounting, battery size, shaft length, or control type for your motors and boats.